With celebrations still in full flow following the Champions League win, Real Madrid are not resting on their laurels and they are already looking at how they can boost the squad next season with players in and out. These decisions are taken between the coach, the president and key board members such as Jose Angel Sanchez and Juni Calafat, who is responsible for scouting nationally and internationally. The meeting is to take place following the Champions League final so as to avoid distraction. Over the past few months there have been detailed reports on potential signings and agents have been approached in the first step in the transfer process. Now is the moment to consider what the club and the coach in particular is looking for and there is the possibility for conflict for example over the goalkeeper like last December with Zidane not interested in bringing in Kepa. The World Cup could have an impact this year as it did in 2014 when James Rodriguez came to the fore but generally the major signings, where astronomic sums have been spent, have seen a balanced and considered approach. It should be noted that in the past five years, when Madrid have won four Champions Leagues, they have spent ‘only’ 456 million euros on signings, and they have made 403 million in sales. 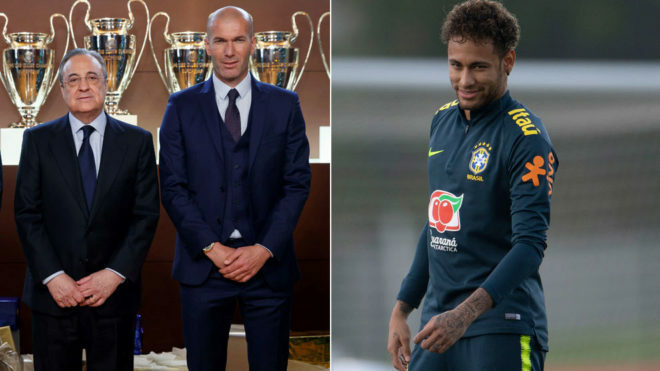 At the same time Zidane, in the view of many, has the strongest squad in the world, and Barcelona have invested 754 million euros and made 408 million, that includes 222 million from the Neymar deal. One name that will be discussed in the forthcoming meeting will be Neymar, and there are three positions that they will look at most: goalkeeper, centre half and right back. If Neymar does not want to leave Paris Saint-Germain then Madrid will have to look at another big name forward and possibilities include Salah, Hazard and Dybala. What is sure is that Vinicius Junior will join midway through July, after having his 18th birthday and he will have a full preseason. Alisson is the first choice to play in goal due to his age and potential, and the Roma goalkeeper is likely to cost less than David De Gea or Courtois. At right back, the only name being talked about is Alvaro Odriozola, with the Real Sociedad player keen on Madrid paying his 40 million euro buy out clause. At centre half, Atletico Madrid’s Jose Maria Gimenez fits the bill and while he belongs to a bitter rival, they can pay his buy-out clause of 65 million euros. Alternatives includes Milan Skriniar of Inter and Alessio Romagnoli of Milan, who would be expected to cost around 60 million euros. Also, it’s emerging that Real Madrid are considering re-signing striker, Mariano Diaz. Diaz left Real Madrid as a backup striker last summer, only to go on and put together an excellent season with Lyon, scoring 21 goals. He has been so impressive since his eight million euros move that Los Blancos are considering bringing him back to the Estadio Santiago Bernabeu. They even made contact with the 24-year-old a few weeks ago to gauge his interest at a return to the Spanish capital. He would be the main backup striker, holding a similar role in the squad to that of Alvaro Morata in 2016/17 and a role that was lacking in the 2017/18 campaign. Raul de Tomas, meanwhile, is an option to come in as the team’s fourth-choice striker, behind Cristiano Ronaldo, Karim Benzema and, potentially, Mariano. 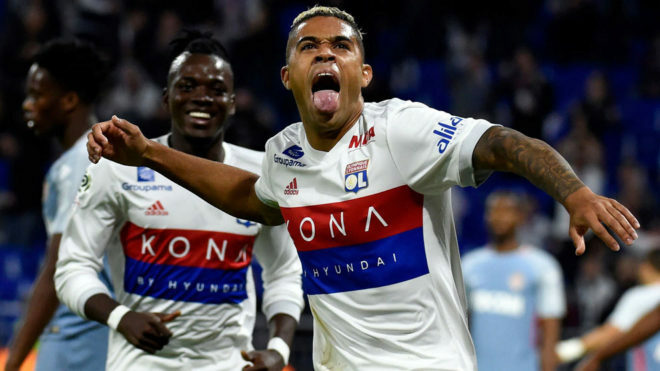 Although Real Madrid do not have a buy-back option in Mariano’s contract, they do have a good relationship with Lyon president Jean-Michel Aulas and they do have the right of first refusal should another club come in for him. They would also earn 35 percent of another future transfer fee.